This feature will now have a Latin title. Why? 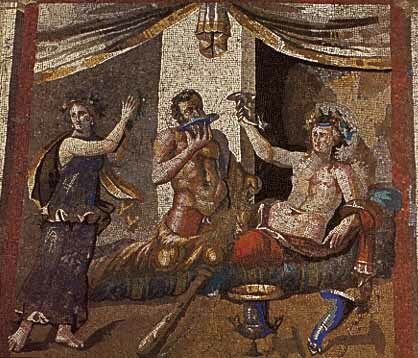 Because Latin is cool! At any rate, I had hoped that this feature would be weekly, but it is harder to sense a legitimate connection between booze and books than I thought. Of course, the connection can be obvious, like if a book features a certain alcoholic beverage prominently. (E.g. James Bond novels and vodka martinis) But, usually I’m going for something more subtle and relying upon gut feeling. For example, one beer which won’t be recommended below is North Coast’s Scrimshaw Pilsner, which recalls the manga Chrono Crusade to mind. Chrono Crusade is a Japanese comic set in America with Model 1911 toting nuns fighting supernatural battles against rebel demons and other things that go bump in the night. The Scrimshaw reminds me of this book because it is an Americanized version of a foreign beer in the same way as Chrono Crusade is a Japanese version of America. The beer’s creaminess evokes the diary farms of Wisconsin–where much of the manga’s action takes place, its brewer is based in California–whither our heroes journey, and the many scenes occurring around a wharf and other areas of blue-collar labor remind me that pilsners are beloved of the working class. However, you won’t see me recommending manga here! I have Medieval Otaku for that. Interestingly, the three beer and book combinations this week are all related to wolves in some way. May you find time to enjoy both the literature and the ale! This beer features some well integrated flavors. 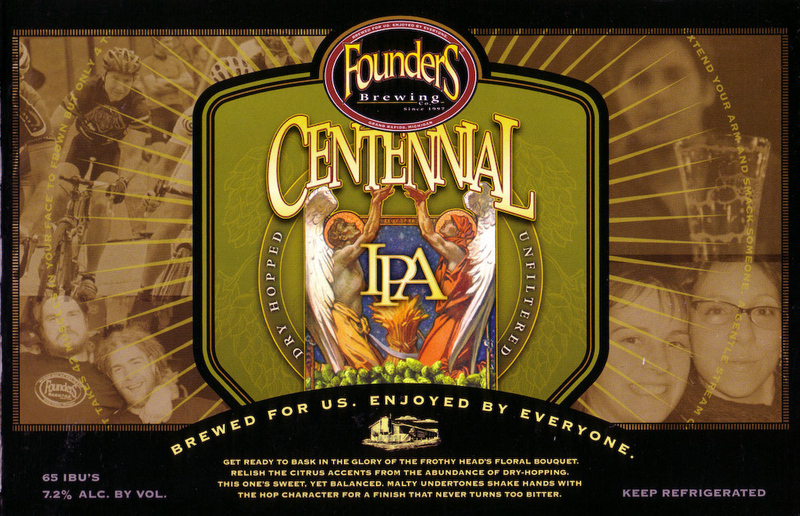 Melded with the malt backbone of the beer are the hops which lend it sweet grapefruit and piney bitterness. My friend disliked the piney aftertaste, but I thought the flavors balanced better than most American IPAs. Its fine balance makes me almost think of it as an English IPA. What work of literature does this beer bring to mind? 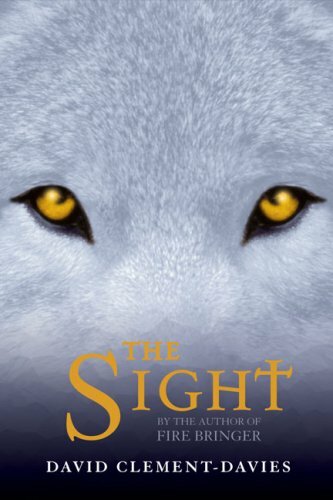 None other than The Sight by David Clement-Davies. This happens to be one of the most tragic books I’ve ever read, made even more so by how endearing the characters were. Our main characters happen to be wolves living during a turbulent time in the Middle Ages. This is probably one of the best YA novels ever produced. So, the piney flavor of the IPA reminds me of the tragedy, the sweet malt and grapefruit hops of the likable characters, and the well balanced flavors of the book’s solid storytelling. Yet, to tell you the truth, I forgot what the main plot of the story was. I’ll have to revisit it someday! 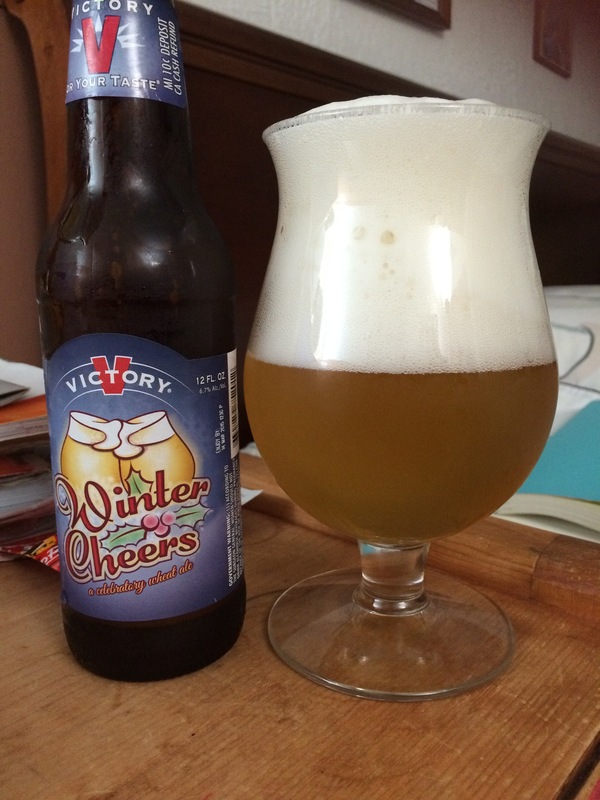 This is a very unusual beer: a wheat ale made for the winter months! 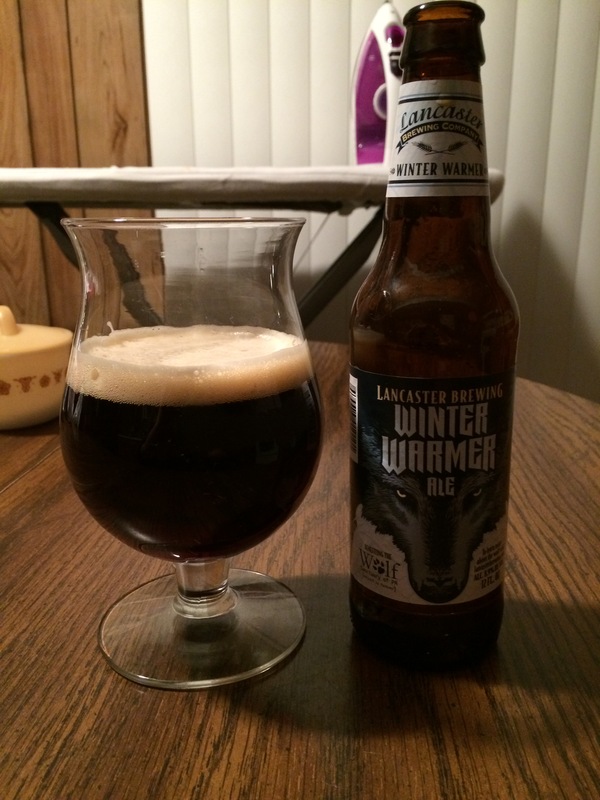 Most winter ales fall among the winter warmer, porter, or stout range. 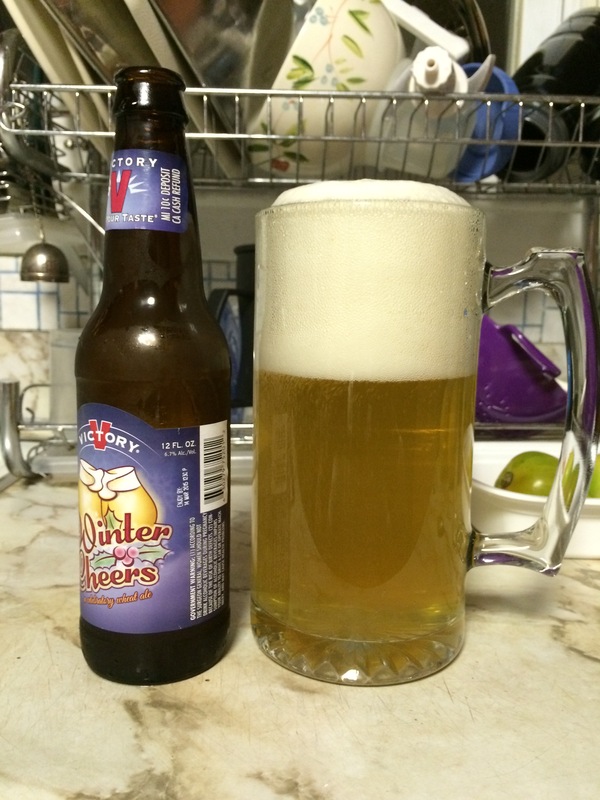 Winter Cheers makes up for its lack of malt by having a full and voluptuous body. The banana and clove flavors taste very vibrant on the palate–almost as vibrant as the Belgian ale called Duval. At the same time, I can’t help but compare it to Weihenstephaner, a very famous wheat ale produced originally in a German abbey. 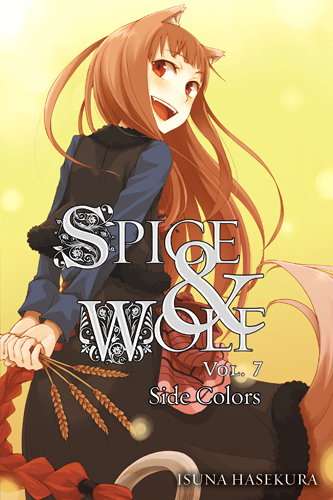 And so, this beer reminds me of Spice and Wolf by Isuna Hasekura. (Yes, I won’t recommend comics here, but light novels are another animal!) Holo starts out as a goddess famed for producing great harvests of wheat. Yet, around the time of the first novel, a new monotheistic religion with parallels to the Catholic Church has gained ascendancy, which causes the villagers to cease to believe in Holo. She decides to leave the village and enlists the aid of the travelling merchant Craft Lawrence so that she may return to her snowy homeland of Yoitsu. 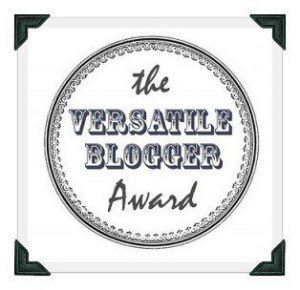 This story features several action scenes and much intrigue. When things get too rough, Holo can transform into a giant wolf when she drinks blood or nibbles on a little wheat. How does the beer remind me of that besides the obvious parallel of wheat beer and a wheat goddess? That this wheat ale is made for winter reminds me that the final destination of the novel is the northern region of Yoitsu. The fact that paganism proceeds from the father of lies, the devil (Duval in Belgian), and that both paganism and the devil are opposed by the God’s Church–prominent members of which live in abbeys–remind me of how this beer’s viscosity is somewhere between Duval and Weihenstephaner. Holo herself is a very vibrant and unique character, as Winter Cheers is a vibrant and unique beer. Here’s a proper winter warmer! (It is also better served at room temperature–or at least not ice cold.) High in alcohol at 8.9% ABV and strong in malt bill, this robust beer helps one relax during the winter months. Potent dark chocolate bitterness almost suppresses the hints of apple and cherry. That some of its proceeds go to support the Wolf Sanctuary of Pennsylvania show its connection to wolves. 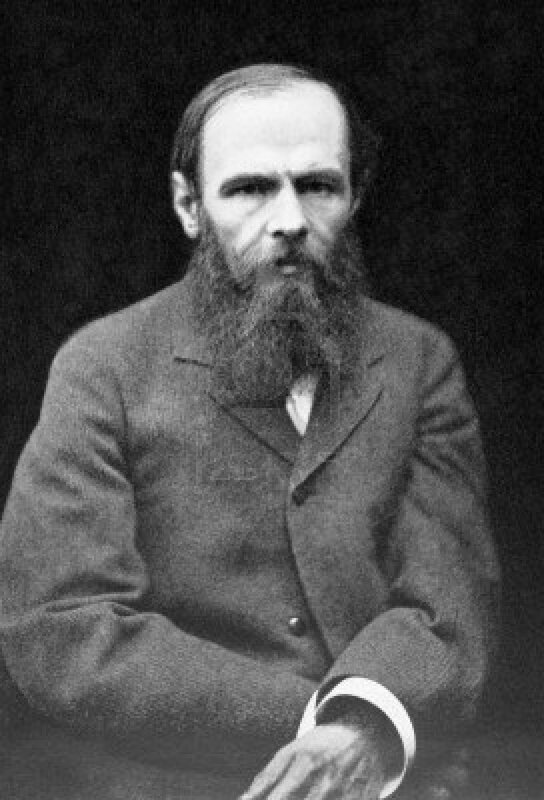 The novel reminiscent of this beer hit me like a sack of bricks: Crime and Punishment by Fyodor Dostoyevsky. The dark chocolate bitterness reminds me of the nihilism running through the novel. This almost suppresses the fact that life has meaning, but that meaning is still perceptible–as the dark chocolate of the beer cannot totally efface the fruity notes. The dark black color with a reddish hue around the edges reminds me that the book began with the black and bloody deed of murder. This same hue can be found in Russian Imperial stouts, which forms the final connection. Some make the common remark that they are unimpressed when they hear of youths reading difficult works, because children and adolescents cannot understand all the intricacies of the works they read. I, as one of those youths, would always respond that understanding something is better than understanding nothing at all. For example, it is better to understand the Pacific Ocean to the degree wading around the shore allows than simply to know that there somewhere exists an ocean named Pacific. And so, I gained a surface understanding of the novel Crime and Punishment around the age of 13 or 14. I followed what the novel told me: Raskolnikov felt weak and powerless “like a spider.” And so, he committed the crime to feel good about himself–to feel powerful like Napoleon. But, reading the work now, I feel like this desire insinuated itself in the place of his true desire: to reveal his inner self to other people. But, I should perhaps have understood this sooner. Notes from the Underground is very much related to Crime and Punishment. And what is the essential nature of that short story? It’s a confession. After all, what is Raskolnikov seeking as he wanders the streets of St. Petersburg? Someone to whom to reveal himself! 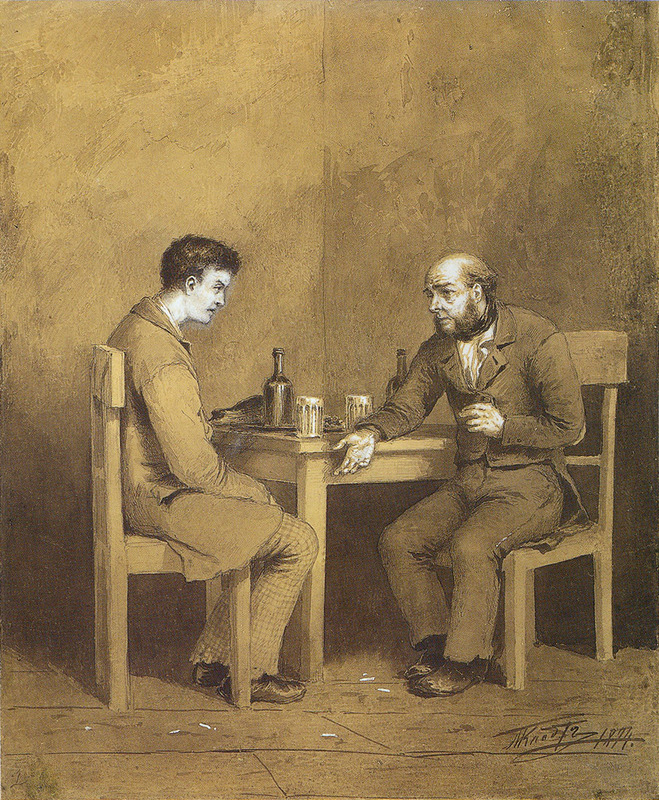 And he does meet someone who confesses to him–a drunk whom Raskolnikov meets at a tavern. The drunk confesses how he constantly disappointed his wife, his family’s situation drove his daughter into prostitution, and he himself, when given a second chance, threw it all away on drink. He also confesses his hope that Jesus Christ will see sinners and all their wickedness (bearing “the mark of the beast” as he put it) at the apocalypse and forgive them. This scene probably impressed itself deeply into Raskolnikov’s psyche. Interestingly, he is summoned to the police station because of an IOU his landlady brought forth against him. There, he delivers a confession of sorts about how he used to be betrothed to the landlady’s daughter until this young lady died one year ago. At which point, his landlady became less forgiving of the tardiness of his payments. After hearing this story, the policemen look upon Raskolnikov with embarrassment and contempt. People don’t tell about their personal lives to strangers! At least, not unless they are seated at a bar or suffering from extreme loneliness as Raskolnikov is. 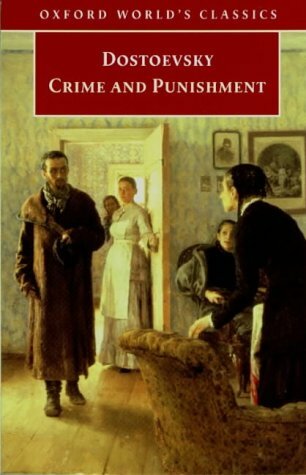 Raskolnikov again has a strong desire to confess his crime, but does so neither here nor in the telling scene in Razumihin’s apartment, where his aimless wanderings take him. Razumihin was his best friend while he studied at university. Even though Dostoyevsky does not explicitly write it, one feels that Raskolnikov, who remains tight lipped as Razumihin confesses what he has been up to and even gives Raskolnikov a share of the advance on a translation job if he will join him in it, went here to confess. 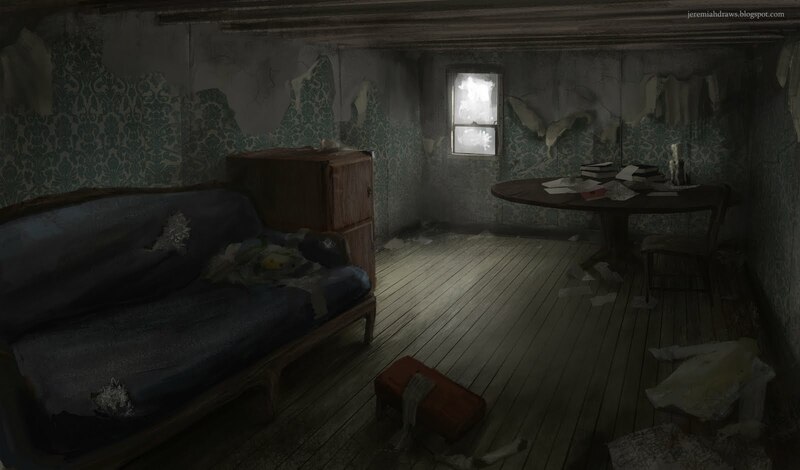 Especially since Raskolnikov, after leaving the house with the payment and the project, stupidly returns back to the apartment and hands both the money and project back to Razumihin. To which Razumihin responds: “What the devil did you come here for?” To confess is the obvious answer, but the cold disdain Raskolnikov received from the police about his more minor confession has made him even more unwilling. Razumihin, in the translation, basically says “Confound you if you won’t tell me anything!” And confusion certainly befalls Raskolnikov, as he no longer feels connected to his fellow men and falls into a delirious sickness. Why? Because no one knows him as he really is. No one knows his sins or how weak and crazed he has become. This delirium lasts until he is at last induced to confess his crime and lays everything bare in the trial. But, confession is so hard! A particular genius of the Catholic faith is revealed in the confessional, where we reveal that dark part of ourselves which we would be ashamed to have our friends or family know. By confessing and placing our inner selves on display, both the good and the bad, we become more connected to reality and to others as they confirm what we think, tell us we think amiss, or admonish us to change, which is what Raskolnikov really wanted. You Like Books? Me, too!